I can't contact you..What is your mail ?? My mail is michel@f5yh.com and your mail adamremove9a4qv@yahoo.com seems to be not valid by yahoo.. I want to buy a LNA at 20 + 5 euros to france. Please, contact me, i can pay Paypal. Did you remove the "remove" in the mailadress? What if I want to power this device from USB? 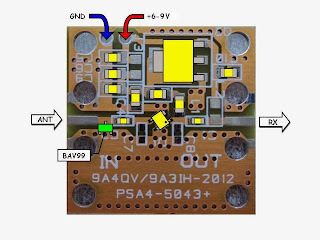 If you want to power the device from the USB then you need to connect the +5V DC to the output pin of the onboard 78M05 voltage regulator, or you can use the existing pad but then you need to remove the 78M05 from the PCB and short the in/out regulator pads. I believe it could be powered through the coaxial with some minor mods. I would remove all the power parts and replace the AC coupling cap with a 0 ohm resistor, then I would install a biass-tee at the shack. The mmic itself seems to have great NF and IP3 values. But it would maybe become overloaded in a big city. I am planning to place a simple BPF before the LNA but I think it would be nice to have the footprints in the board so you could install the filter for you favorite band. I gave a look at the datasheet at Minicircuits web site. I think it could be powered with a Li-ion cell for long hours. The 7805 would have to be removed. That would be handy for field day operations. Li-ion cells can be savaged from old laptop battery packs. Does it perform below 28mhz?? Yes it does but not so good as declared on higher frequencies. 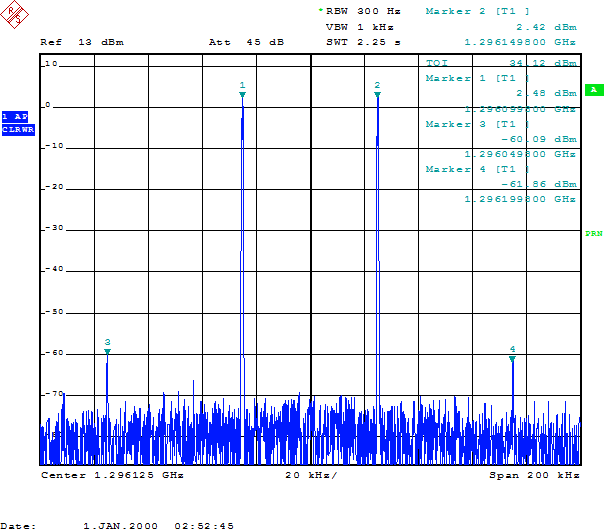 The lower frequency limit is 14MHz with gain of 10dB. 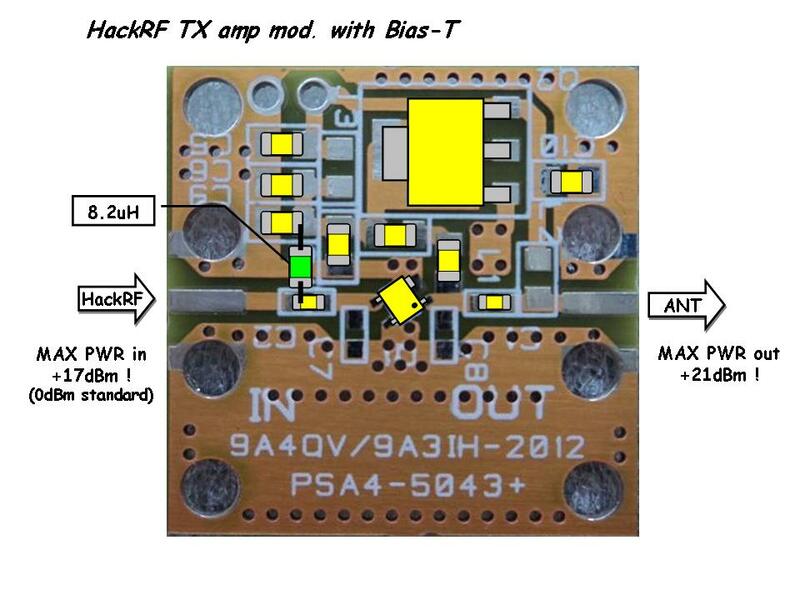 If you need a HF only amplifier or something like in my upconverter UP-100 write me mail, we can do that. I have a Nooelec Ham it upconverter, can you do an LNA for that? Maybe 20dB? maybe under 1.5dB NF? For the moment, we do not have any left and available but in next 30 days we should be out with the new batch of upconverter, and yes, it will be with the 125Mhz LO instead of 100MHz due to user request. 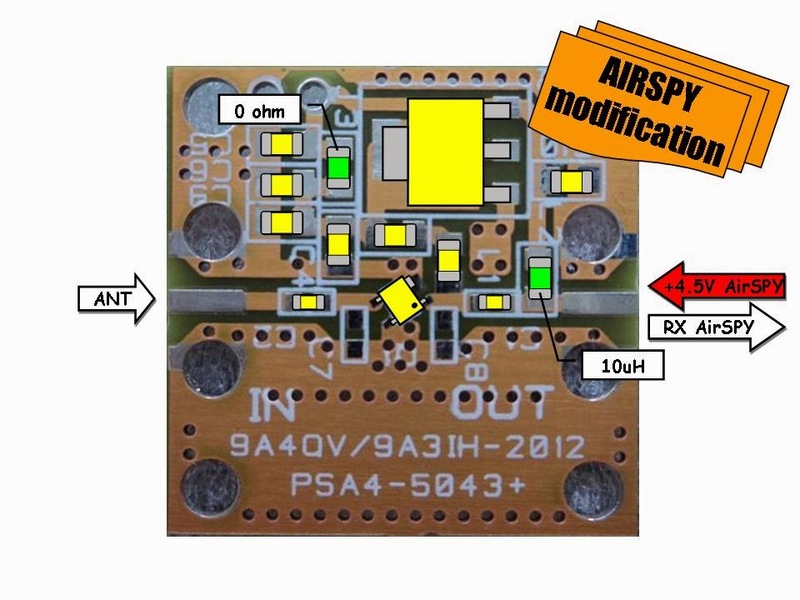 If you need just the amplifier 20db for HF with the NF up to 1.5dB I can do that on the same PCB as LNA4ALL just another component, same price. So. out of curiosity, what sort of connector is present on this board? Does it plug straight into the Newsky tv228t SDR receiver? The LNA4ALL has two SMA (female) connector on board. So far i have not seen the USB SDR dongle with the SMA, except modified. If Yes i see no Power socket. If I am to power this from USB would it be better to bypass the voltage regulator completely and bridge the in/out pins or just attach 5v to the output pin of the regulator? Also, because the power coming in looks to go through an inductor then to the output, will I see a significant drop in performance from powering it from 5v rather than 12v? Thank you! You can bridge the in/out pins of the 5V regulator simply by soldering the 0 ohm bridge on the PCB. There is a dedicated place for the 0805 SMD 0 ohm bridge and use the same power pads for the 5V supply. 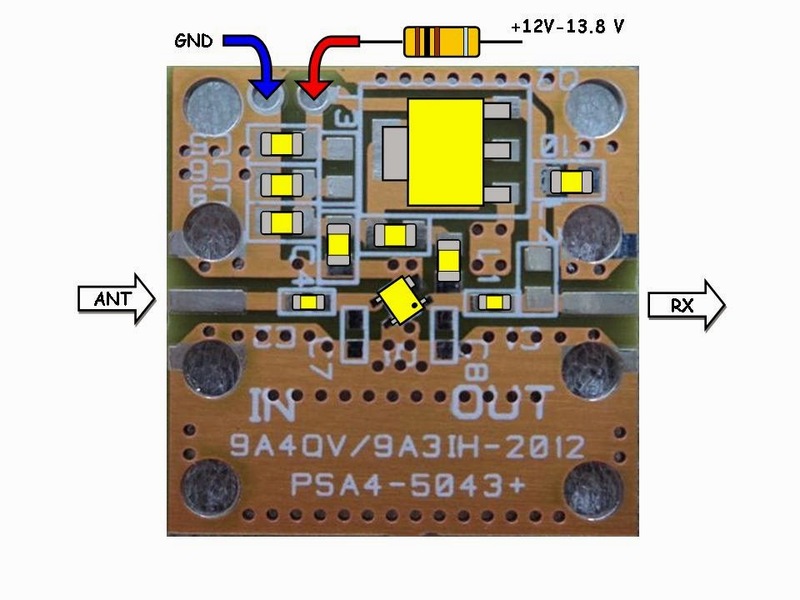 Instead you can just connect the positive 5V to the output pin of the regulator. The power does not go to the RF output pin. (This is the option for the Bias+T LNA power through the coax). This option is not included on the LNA but there is place on the PCB to add the 10uH inductor and 1nF capacitor. You can power the LNA from 3.3V to 5V. If you plan to use 12V then you need a regulator. is this still available for purchase. If so, where can I order some? yes, the LNAis available, just send me e-mail. The address is under CONTACTS, top left page side. what is max bandwide of upconverter?? Could LNA4ALL be used as a repeater for a given frequency band, with the necessary filters? Yes it can, but you need to pay the attention also on the isolation between the input and output (antenna) as you may provoke the oscillations if the isolation is poor. Could lower current consumption be obtained at the expense of lower power gain, while still maintaining good noise figure? 20+ dB of gain is too much for my application, 10-15dB would be perfectly adequate. Can you check if you received my email (from michele@computerteam.it or m.costantino@computerteam.it). I wanna order a 25€ preassembled kit! My brother recently gave me a gold LNA to try and use for a recent maker faire display. Sadly we could not do it because the LNA was DOA. When I hook it up to my bench supply it causes the PSU to fault like it has a short and the regulator gets blistering hot. Do you think that a replacement could be sent out ? Thanks for your speedy email reply. My brother is waiting to send the payment for a second one and in the meantime I am going to try to take the regulator out and see if it will work while I wait for a new one. Hi, pharmacy already closed? orders still accepted? Of course, the pharmacy is open and full of medicine. We receive the patients all around the world every day. It seems that you are knocking on the wrong door. Are you planning on producing your "UP-100" up converter again? For the moment we sold all, the Upconverters and the blank PCBs. Will decide in January if we will continue with the UPconverter. Adam, any chance you will (eventually) start producing the upconverter again? Your yahoo email bounced. Are you still in business? 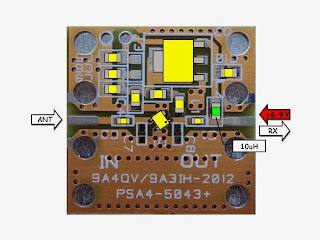 Hi Adam, You can still sell blank PCBs LNA ? Yes, we have them available. Google tried to deliver your message, but it was rejected by the server for the recipient domain yahoo.com by mta5.am0.yahoodns.net. [98.138.112.32]. What's the difference between the Lna4all and the cheap LNAs from Aliexpress? I did not tried Aliexpress LNAs so I can not tell the difference other than the price. i received the item, thank you very much. 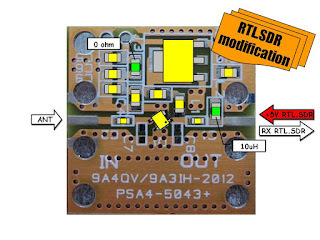 i require small clarification - i do not have RTL SDR which can supply 5V to LNA. one i have is lnaall alll with 5v bias RTL SDR modification. Can i give 5V input through, normal external 5V input and GND pins rather than RTL SDR output port. Yes you can supply the 5V using the side pads, but the DC you supply will reach your dongle through the coaxial cable. If your dongle or receiver has the DC block at the input (simple serial capacitor) than it will work. But if you do not have such a capacitor in the dongle antenna input then the 5V can damage the dongle. You can remowe the bias-t mod by desoldering the 8.2uH coil or by inserting some capacitor in series with the live end coaxial cable. Contact me through the email published in the sidebar. Are there any specific parameters for the inductor and the resettable fuse, other than 10uH and 100 mA? thank you for the post reply..
Quite a good application it is. There might be some way to decrease this noise quality. Thank You Adam! Have got two Bias-T LNAs. Top quality, splendidly working amplifiers! Thank you a lot. Nice information really. These Graph was derived from the automatic measurements sweeping. Thank for share you mind! Good content. Well, its impressive article, Its useful to all, thanks for this sharing for us. Is it possible to get a component list if I purchase some PCBs for assembly? Thanks. In translation projects with images and graphics that include text, good planning can mean the difference between an effective approach or days of back-and-forth. Here we will look at some tips for preparing image text, from the bare basics to a few advanced pointers. Are you still making these? Amazon says they are sold out and I can't find them listed anywhere else. Where can I order a case and how much are they? ?